The Clonfert Diocesan Museum, in the grounds of St Brendan’s Cathedral, houses an important collection of objects of ecclesiastical interest. The oldest chalice of the collection, the Matheus Macraith Chalice, is nearly 500 years old. The collection of carved wooden gures includes the Kilcorban Madonna (c. 1180 AD), the oldest surviving wooden statue in the country. 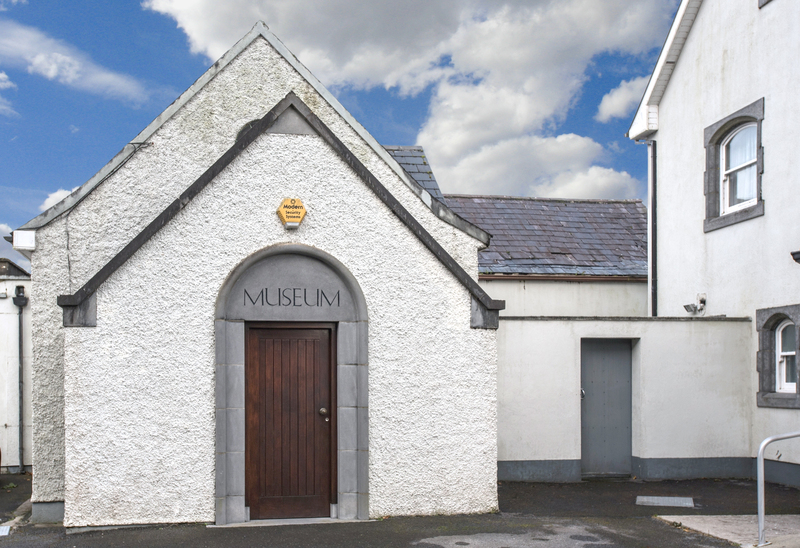 The museum houses a selection of embroidered banners and vestments made by the Dun Emer Guild. The banners were designed by Jack B. Yeats, his wife Cottie, George William Russell and P.C. Smith. The collection also includes a variety of objects from the penal times.